Fesenkov Astrophysical Institute (FAPHI) is the major scientific organization for fundamental research in astronomy and astrophysics in Kazakhstan. It was founded in 1941 by Vasiliy Grigorievich Fesenkov and since 1989 bears his name. Currently it is an affiliate of the National Center of Space Research and Technology which is a subsidiary of the Aerospace Committee of the Republic of Kazakhstan. The observational bases of the Institute are ranked as strategic facilities of the country. The scientific activity in FAPHI covers astronomical observations, theoretical studies and computer simulations. Astronomical observations are performed at three observational bases located in the mountains around Almaty and focus on studies of processes at the Sun and in atmospheres of the Jovian planets, monitoring of artificial Earth satellites, physics of comets, interstellar medium and nebulae, and spectrophotometry of active galaxies. The principal areas of theoretical studies include stellar dynamics and computational astrophysics, celestial mechanics, investigation of active galactic nuclei based on computer simulations, development of cosmological models of the Universe, research on structure formation and evolution, and on the nature of dark matter and dark energy. APHI has close collaborations within Kazakhstan and with institutions from Russia, Germany, China and other countries. Since 2012 FAPHI is a member of the International Astronomical Union. 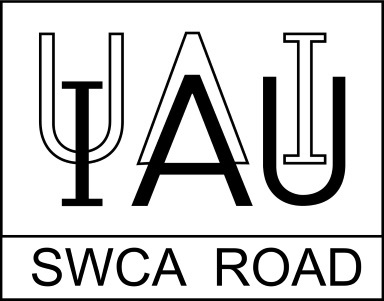 It is also a part of the IAU South West and Central Asia Regional Office of Astronomy for Development (SWCA ROAD).